The Axiatonal lines actually connects to higher dimensional energy matrices that extend beyond the etheric body and which may hold a perfect pattern of health and balance. This may be the area where Reconnective Healing may really work. 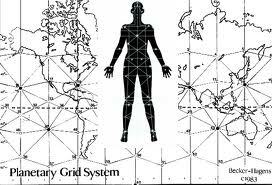 In re-connecting our meridians (acupuncture lines) to these (new) axiatonal lines and grid network." - Dr. Richard Gerber, MD. The Reconnection is an energetic alignment which facilitates personal growth and evolutionary advancement. On two consecutive days we activate more than 100 energetic lines and points on the body during two sessions. If you are unsure about what your purpose in life really is, The Reconnection can instigate an expansion of consciousness which can lead to a profound understanding of who you are meant to be or what you are meant to do by being more in tune with your intuition and higher states of awareness. In this way, The Reconnection is a life-optimization process that may help you to discover your life's purpose. It allows you to receive an influx of light and information which transforms your physical, emotional and mental states of mind by clearing blocks and restoring balance. If you have a health concern, a healing may be part of the process. Some people notice a dramatic change forward in their lives, especially in the first 6 to 12 months following The Reconnection. This shift occurs at the level that each person is ready for. Some people notice life-changing improvements and opportunities immediately, perhaps changing career, getting a new job, moving to another city or finding a new partner, whereas for others it evolves over a longer period of time. Looking back after several months or a year they realise they have made huge strides in the areas of health, lifestyle and mental outlook as they now operate at a higher level of consciousness. At this higher level of consciousness, a richer life experience could be the result where dysfunctional ways of thinking and being are resolved. A new sense of inner knowing could be felt and a sense of being comfortable and at peace with oneself has also been reported. The Reconnection activation reconnects you through the body's energy circulation system - the acupuncture meridians and chakras, back to a much larger axiatonal energy grid system. These axiatonal lines are part of a timeless network of intelligence, a parallel-dimensional energy system that draws the basic energy for the renewal functions of the human body and DNA activation. For more of a detailed explanation as to what The Reconnection is, you can read more here. Extra rest may be needed in the days following The Reconnection to allow the body to assimilate the energy exchange. The reconnection of the axiatonal lines ensures that the frequencies continue to work and unfold long after your visit has ended and will continue to do so for the remainder of your lifetime. It is recommended that you experience one to three sessions of Reconnective Healing to get used to the new healing frequencies prior to having The Reconnection done. However, it is not a requirement. The Reconnection is done once in a lifetime only and takes approximately 30 minutes. It is a no-touch procedure, where you lie on a massage table, fully clothed whilst the Practitioner work above and around your body. Over the past twenty-one years, The Reconnection fee has always been $333.00 which includes both sessions. This fee is universal amongst all Reconnective Healing practitioners and will not change over time.